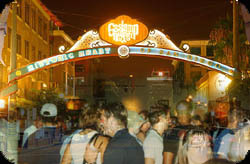 The Gaslamp is home to some of San Diego's finest restaurants, night clubs, and bars. We provide safe and reliable transportation to and from anywhere in the Gaslamp. Please call for our rates from the Gaslamp District.